Theresa May is not the first Conservative prime minister to vow to fight to save her position in the face of rebellious MPs. Margaret Thatcher famously declared "I fight on, I fight to win" as she battled a challenge from Michael Heseltine in November 1990, only to stand down after senior Tories advised her she was heading for defeat. 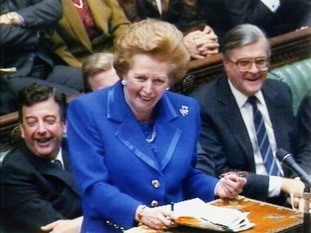 The Iron Lady became the only Prime Minister to be removed from office by a party leadership ballot among her own MPs. Under the different rules in place in 1990, Mrs Thatcher had defeated Mr Heseltine by 204 to 152 in a vote of Tory MPs after he challenged her position. But the margin of her victory was just short of 15% required so a second ballot was triggered. Initially she intended to contest another ballot but after consulting her cabinet decided to withdraw from the contest. The contest was ultimately and surprisingly won by her Chancellor of the Exchequer, John Major. The now Sir John brought to an end Baroness Thatcher's 11 and a half years in Downing Street. He too faced a similar challenge to his power, and like May, Europe was at heart of it. He never faced an official confidence vote brought by his Tory colleagues, but in 1993 he engineered one himself after the so-called "Masstricht rebels" voted against him. 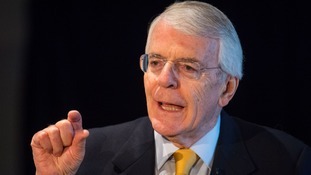 Mr Major called a second vote on the same treaty and declared it a confidence vote, which he passed. However in June 1995, he again put his leadership on the line in a leadership race with John Redwood and held on once more before losing the 1997 election to Tony Blair's Labour. Party rules had changed by the time opposition Tory leader Iain Duncan Smith faced a confidence vote. MPs submitted letters to the chair of the backbench 1922 Committee in 2003 in a bid to oust him. Mr Duncan Smith lost the vote 90-75 and resigned shortly afterwards, clearing the way for Michael Howard to take over as leader without a ballot, after no other contenders stood against him. The Conservative party had just 166 MPs at the time compared to 315 who will judge Mrs May. It meant the threshold for letters to the 1922 Committee was only 25 for a no confidence vote against IDS, compared to the 48 that have been delivered to unsettle Mrs May. Mr Howard eventually stood down voluntarily as leader after losing the 2005 general election, as had William Hague four years earlier and a decade before David Cameron quit after the 2016 EU referendum defeat.